Barbara J. Drobina, DO is an Emergency Physician in the United States Navy. Dr. Drobina graduated from University of Osteopathic Medicine and Health Sciences, Des Moines, IA. 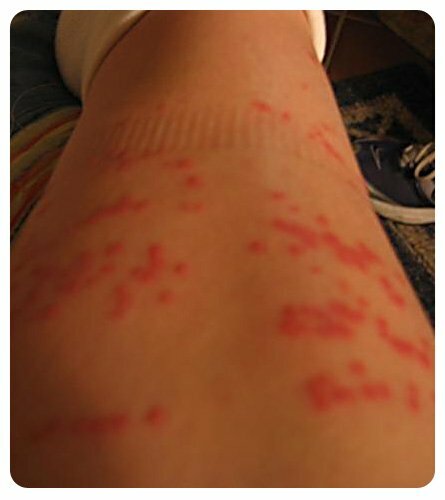 Dr. Drobina completed residency training in Emergency Medicine at Portsmouth Naval Hospital, Portsmouth, VA.
What Are Jellyfish Sting Symptoms and Signs? When Should I Call the Doctor About a Jellyfish Sting? What Are Jellyfish Sting Treatments? What Are Home Remedies for Different Types of Jellyfish Stings? 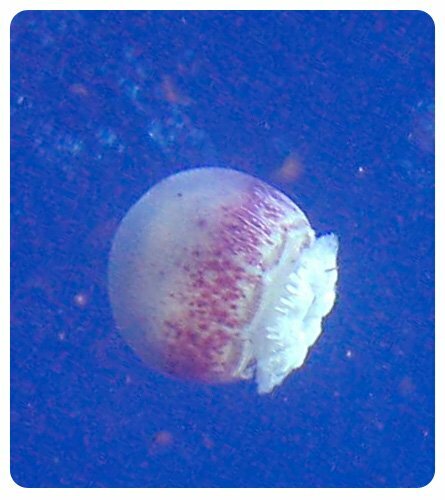 How Can I Prevent Jellyfish Sting? 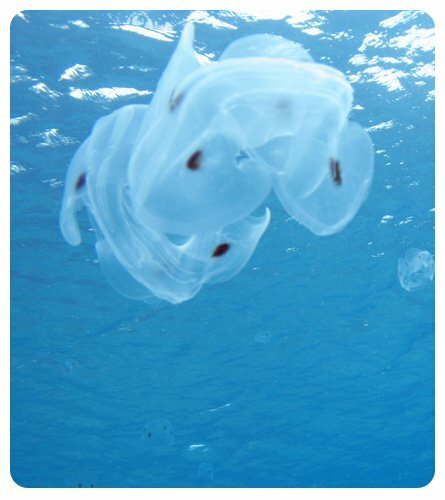 Jellyfish (Chrysaora) are free-swimming, non-aggressive, gelatinous marine animals surrounded by tentacles. These tentacles are covered with sacs (nematocysts or stinging cells) that are filled with poison (venom) that can cause a painful to sometimes life-threatening sting. Jellyfish are found throughout the world. 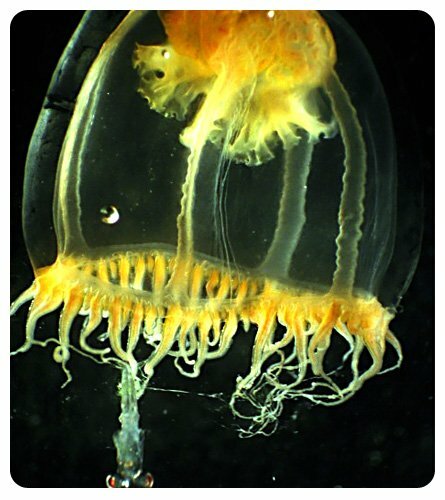 But, the most deadly are found in the Indo-Pacific and Australian waters (for example, Irukandji jellyfish). Jellyfish are usually found near the surface of the water during times of diminished light, floating in the water column, or after washing up on the beach. 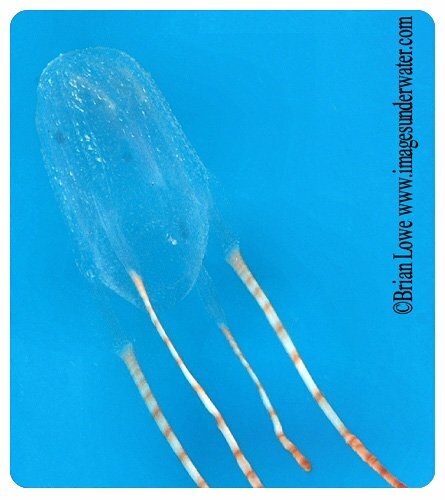 Jellyfish stings are generally accidental - from swimming or wading into a jellyfish or carelessly handling them. 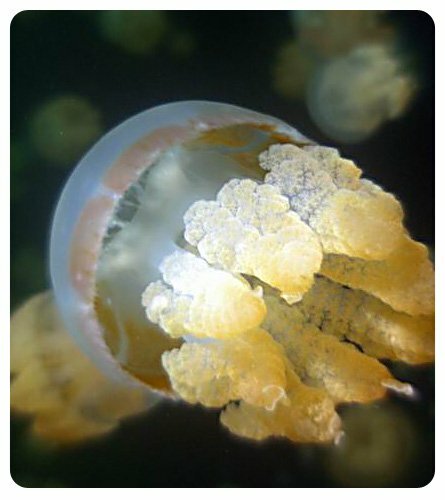 Some types of jellyfish have reproductive jelly gatherings eight to 10 days after a full moon, thus there is an increase in the number of jellyfish found at that time. There are over 200 types of jellyfish (that have been documented). 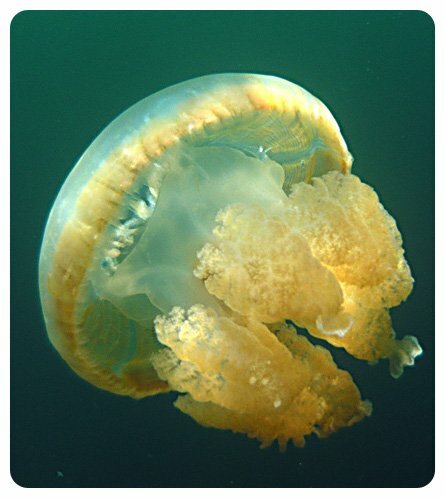 The progressive effects of a jellyfish sting may include nausea, vomiting, diarrhea, lymph node swelling, abdominal pain, numbness/tingling, and muscle spasms. If the person has been stung in the mouth or placed tentacles in their mouth and are having voice changes, difficulty swallowing, or swelling of the tongue or lips. If the patient continues to have itching, redness, pain, and swelling of the skin (cellulitis) around the sting, see a doctor. topical steroids or steroids by mouth to help with the swelling and itching. The doctor may also prescribe antibiotics if the patient has cellulitis. Take all medications as directed and until they are gone. If it has been longer than 10 years since the patient's last tetanus shot, a booster shot might be recommended. If you are stung by a box jellyfish, seek medical help immediately. While you are waiting for medical help, flood the area with vinegar until medical help is available and keep as still as possible. If you are not close to medical care, soak the sting site and tentacles for 10 minutes or more, before attempting to remove them. If the sting is on the arms or legs, you can place a pressure dressing (like an ACE wrap used for a sprained ankle) around the affected area. Be careful that you do not stop blood flow - the fingers and toes should always stay pink. This will help to slow down the spread of the toxin. 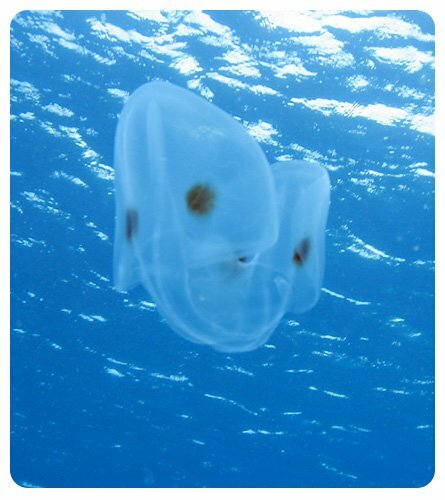 For other jellyfish stings, soaking or rinsing the area in vinegar (acetic acid) for 15-30 minutes stops the stingers from releasing their venom. If you do not have vinegar available, rinse in seawater, 70% isopropyl alcohol, or Safe Sea Jellyfish After Sting® pain relief gel. Do not use fresh water. Fresh water will cause the stingers to continue to release their toxin. For the same reason, do not rub the area, apply ice or hot water. Remove tentacles with a stick or a pair of tweezers. Wear gloves if you have them available. Apply shaving cream or a paste of baking soda to the area. Shave the area with a razor or credit card to remove any adherent nematocysts. Then reapply vinegar or alcohol. The shaving cream or paste prevents nematocysts that have not been activated from releasing their toxin during removal with the razor. Eye stings should be rinsed with a commercial saline solution like Artificial Tears; dab the skin around the eyes with a towel that has been soaked in vinegar. Do not place vinegar directly in the eyes. Mouth stings should be treated with 1/4 strength vinegar. Mix ¼ cup of vinegar with ¾ cup of water. Gargle and spit out the solution. Do not drink or swallow the solution. For pain, take an over-the-counter pain reliever like acetaminophen (Tylenol) 325 mg 1-2 tablets every 4-6 hours for pain; or Ibuprofen (Motrin) or Aleve every 8 hours for pain. CPR may be necessary for all stings if the person stops breathing and/or no longer has a pulse. 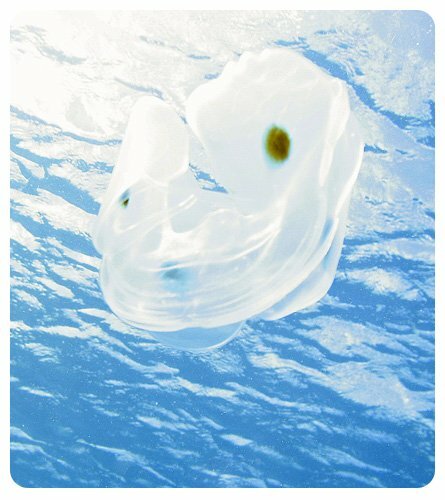 Wear protective clothing (gloves, wet suits, dive skins) when swimming in jellyfish-infested areas. Avoid picking up dead jellyfish. Dead jellyfish may still have live nematocysts that can still release toxins (even after they have dried up). Avoid going into known jellyfish-infested areas. If you do, know what type of jellyfish are common to the area. Be prepared to treat a jellyfish sting. Have a basic first aid kit (make sure it has an oral antihistamine in the kit) prepared and bring it with you. Beachgoers should take a course in basic first aid before heading to the beach, snorkeling, swimming, or scuba diving. In the evening or at night when swimming, snorkeling, or scuba diving, take care to look for jellyfish on the surface of the water. Expel air from the alternate air source while ascending during scuba diving to disperse any jellyfish directly above you. Educate yourself as to the type of jellyfish that may be in the waters in which you are swimming, snorkeling, or scuba diving. 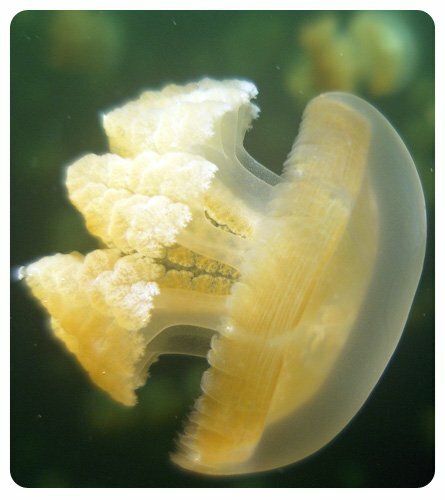 Bring Safe Sea Jellyfish After Sting® pain relief gel in case you do get stung. 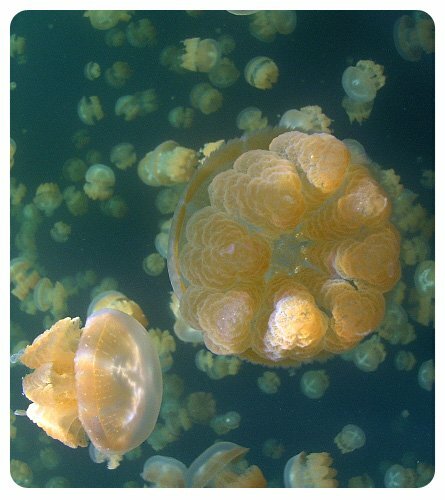 Do not swim in waters where large numbers of jellyfish have been reported. Wearing a wet suit or Lycra dive skin can prevent stings. If you have a known insect sting allergy carry an allergy kit, which contains injectable epi-pens (epinephrine, adrenaline). Make sure those with you know how to administer the epi-pen in case you are unable to do so in the event of an allergic reaction. Do not touch any marine life while swimming, snorkeling, or scuba diving. Most marine animals have a protective coating that when touched, is rubbed off when and exposes the animal to bacteria and parasites; moreover, touching, "playing," or moving marine animals is stressful for them. Corals are easily damaged when touched and the area if the coral touched by hands, fins, or the body will die. To protect the ocean environment, when swimming, snorkeling, or scubadiving look, don't touch, and leave only bubbles. 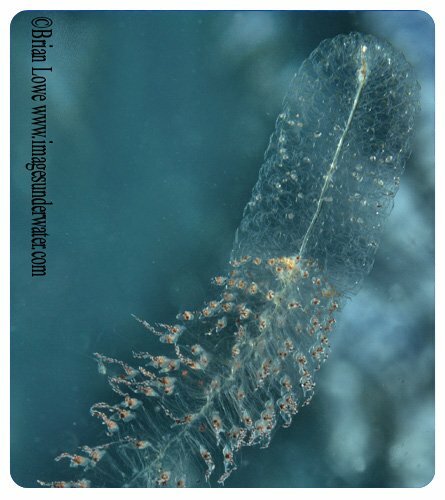 Divers Alert Network, "I've Been Stung: What Should I Do?" 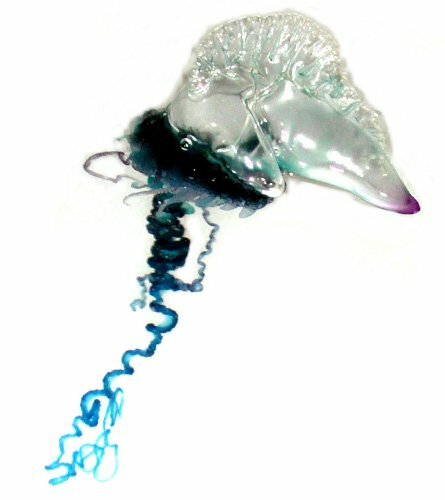 South Carolina Department of Natural Sciences, "Jellyfish"
Picture of a Physonect (siphonophore). Location: Bonaire, Netherlands Antilles. Photo courtesy of Brian Lowe. What was the treatment for your jellyfish sting? Tell us the signs and symptoms you experienced from a jellyfish sting.